Washington DC is a fun place to take photos. It has a bit of everything. If you like grandiose landmarks, there are some of the best in the world. If you like cobblestone streets and historic neighborhoods, both Georgetown and Old Town Alexandria offer great opportunities. The Blue Ridge Parkway is not far out of town, with its stunning landscapes and wildlife. And about the same distance in the other direction are quaint fishing towns on the Eastern Shore. About 45 minutes north is the waterfront city of Baltimore. It has distinct seasons, with snow cover at times in winter, lush greenery and an outdoor lifestyle in summer, clear skies and colorful flowers in spring, and fall foliage in autumn. With 8 million or so people in and around DC, there's a real mix of people and cultures and a bunch of interesting neighborhoods from the urban, bohemian chic of Dupont, Adams Morgan, and U Street, to upscale suburbia, and downscale areas of downtown. 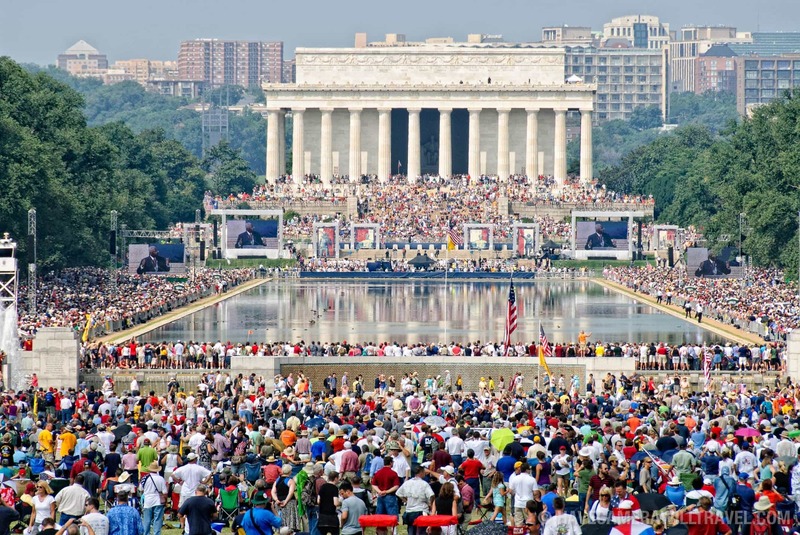 And DC is one of the few cities in the world where it's not unusual to have events of a million-plus people, creating grand spectacles. In short, DC is the photographic equivalent of what the military would call a target rich environment. So welcome to A Photographers' Guide to Washington DC. 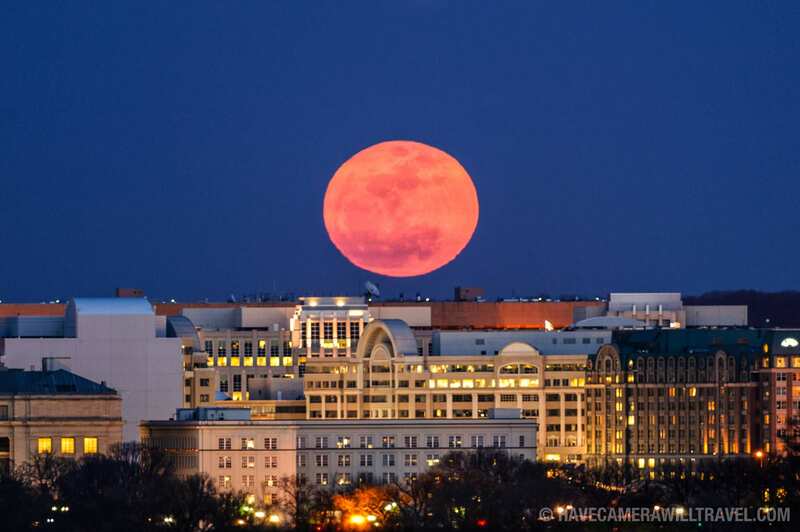 This is a growing collection of locations around the nation's capital where visitors often like to photograph. This isn’t designed as a general travel guide—a guide book like Lonely Planet or Fodor’s will be infinitely more useful to you if you're after that. Rather, I’ll focus on providing tips that I hope will be useful to photographers of all levels visiting the nation’s capital with a camera in hand. I'm not going to pretend that it's definitive--every photographer's preferences and priorities are different--but I'll aim to make the information as reliable and useful as I can in the hope that it helps you make the most of your visit and plan ahead to some extent. The information in the PG2WDC comes mostly from my own experience. I live in the DC area and spend a lot of time with a camera at many of the locations covered. But I’m not on the payroll of any of the locations, organizations, or institutions mentioned, so the information is not "official" in any way. If you need official guidance or permission for whatever reason, I'd recommend getting in touch directly with the media affairs office of the relevant managing organization or government body. This is especially important if you're planning a commercial shoot or something that involves setup. 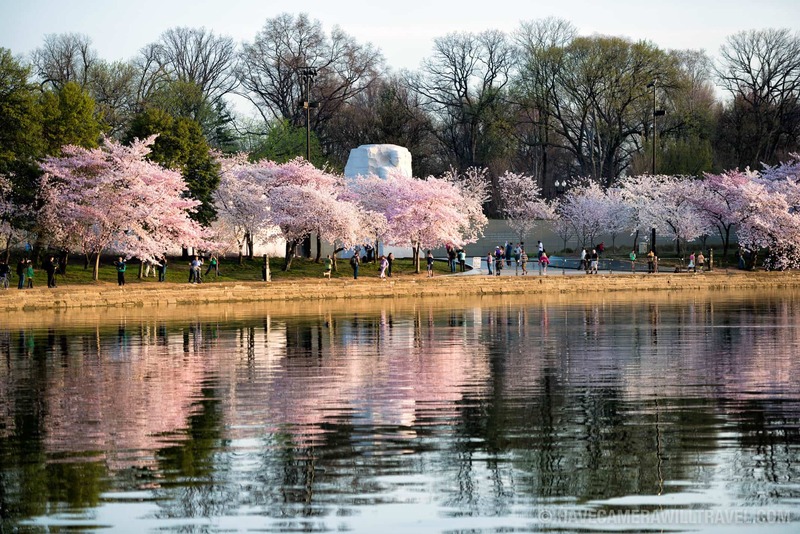 The annual blooming of Washington's DC's cherry blossoms around the Tidal Basin, West Potomac Park, and National Mall is a world-class event and one that naturally lends itself to photography. Originally, my Cherry Blossom Watch was a part of this site, but it has now grown up and become it's own dedicated site. You can find it here. It includes quite a lot of information very relevant to photographers, but the visitor information also include information that might be useful to anyone else visiting DC. Please note that this site is designed for photographers taking photos for their own personal use. Commercial photography, including wedding photos or formal group photos, may well require you to get a permit in advance. Whenever possible, I aim to provide a link to the official website of the supervising organization or government agency. If you are looking to do any kind of photography other than personal use, I strongly recommend you get in touch directly with the public affairs office of the relevant supervisory bodies well in advance of your planned visit. A good place to start is this partial list of local film and media offices. Larger shoots should engage the services of a local agent or "fixer". Permissions, copyrights, and trademarks are complicated businesses. In general, if you’re taking photos for personal use and enjoyment, you’ll rarely run into trouble. But if you’re aiming to license your photos for stock or for commercial gain, there are a number of other considerations you need to take into account. But, like I said, it's complicated business, and unfortunately it's on you to research further and to make your own decisions. I'm not a lawyer--and can say with some confidence that I never will be--and am in absolutely no position to provide legal guidance. If you're looking for further information, the resources offered by ASMP are a good place to start. Don't do it. 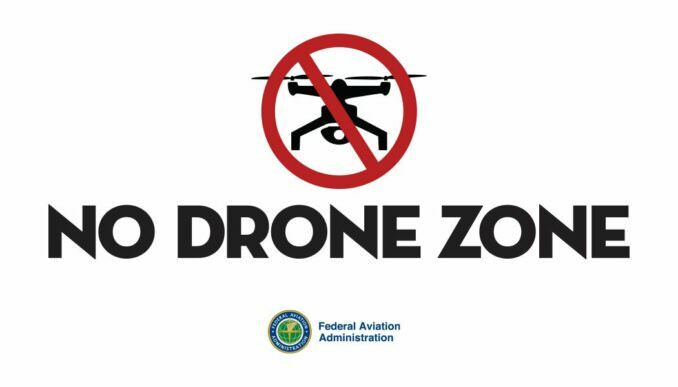 Most of the region is considered restricted airspace, and special rules are in place that extend well beyond the usual 5-mile limit from airports that applies to many other parts of the country. You can find more details about Washington DC's special drone restrictions here. And, as you can imagine, local military and law enforcement don't have much patience for it and do enforce the restrictions. You'll encounter security at many locations in Washington. In nearly all cases, they're very respectful of your rights as photographers and will be entirely reasonable in letting you do your thing so long as it does cause safety issues or impose unduly on others. Most of the time, you won't run into any trouble if you're shooting for personal use. If you're shooting for commercial use you might need to get advance permission at some locations and organizations. If someone from security does ask you not to do something, there are multiple ways to approach the situation ranging from immediate compliance to standing your ground and arguing the point. Not every option will always get the outcome you want. But whatever course you choose, please remember that they're doing their job. The American Civil Liberties Union has put together this excellent guide to photographers' rights that is well worth being familiar with. Once upon a time there were several very good brick and mortar stores where you could buy specialist gear. But most of them have folded in recent years. One of the best remaining ones is Ace Photo. It's actually a bit out of town in suburban Virginia, but it's a very good option if you need something a bit more specialized than what the local Best Buy offers. They also offer local gear rentals. 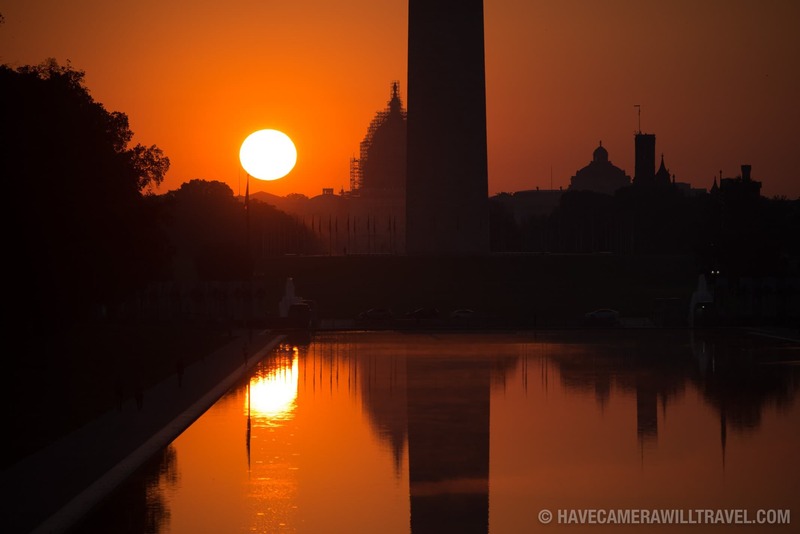 Other excellent options for local camera rentals--video and stills--are DC Camera and f8 Rentals. With some planning ahead, online gear rental services like Borrow Lenses and Lens Pro to Go also work well and have huge selections. This is an organic site, and I make a good faith effort to keep the information accurate and up-to-date. But please bear in mind that my work for clients and other travel shoots keeps me pretty busy and some information might not be as current as I'd like. If I've posted some erroneous information, please let me know so I can correct it. And if you've had experiences that you think others would find useful, please consider posting them in the comments on the relevant page. All that said, happy shooting! 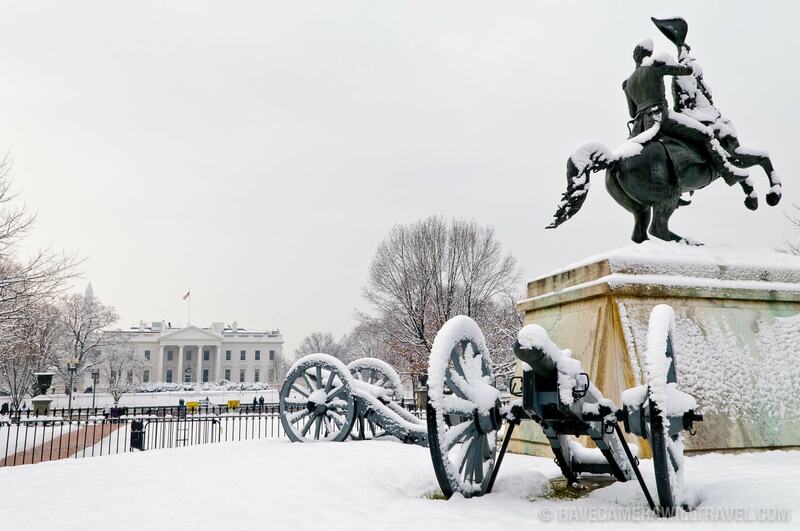 You’ll find Washington DC to be a fun playground for photographers.